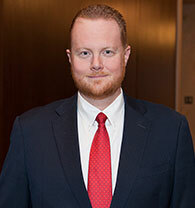 Chad Wilkerson is Branch Executive of the Kansas City Fed's Oklahoma City Branch office. In this role, he serves as the Bank's lead officer and regional economist in the state of Oklahoma. Wilkerson is responsible for recruiting and working with the Branch's board of directors and for briefing the Kansas City Fed's president - a member of the Federal Open Market Committee - on economic activity in the state. His research focuses on trends in the industrial structure and labor markets of the Tenth Federal Reserve District. He also supervises several business surveys for the Kansas City Fed. Wilkerson has been with the Federal Reserve since 1998, beginning in Kansas City's Research Department. He was appointed Oklahoma City Branch Executive in January 2006. He holds a master's degree from the University of Chicago and a bachelor's degree from William Jewell College in Liberty, Mo. He studied abroad for a year at Oxford University in England. Wilkerson currently serves on the United Way of Central Oklahoma advisory board of trustees and is a member of the Economic Club of Oklahoma and National Association for Business Economics. He lives in Edmond, Okla., with his wife and four children. Please RSVP to Lisa Adiamak at adamiak@focusfcu.org by Aug. 14.